It only took 140 years for the Women’s Rights movement in the English speaking world to finally flex its wings and its power, thanks to the 2018 #MeToo movement, over the last two years to become the vehicle for finally taking the subject of “equality rights” seriously. The great Norwegian playwright Henrick Ibsen, considered by many to be the father of the modern drama genre, shocked and scandalized Victorian society with his uber-feminist play “A Doll’s House” in 1879. The world of the theatre has never been the same. Fast forward to 2017… Lucas Hnath, a young Florida-born playwright’s curiosity is peaked by Ibsens’ play “A Doll’s House”. He liked the story, but he wondered what Nora’s life must have been like over the last fifteen years following that famous door slamming incident. Big things often have small beginnings both in literature and in real life. 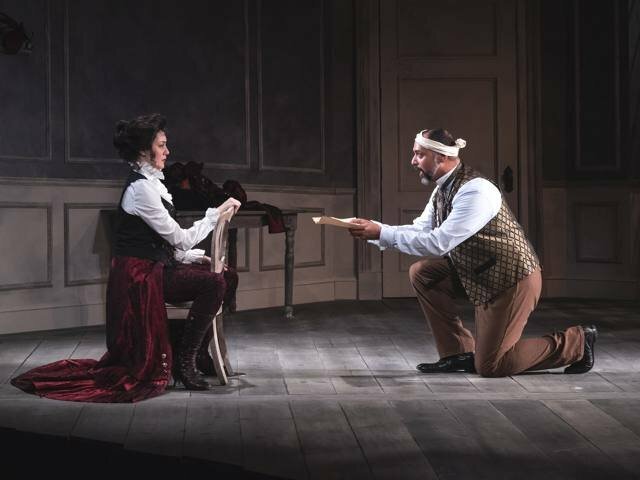 “A Doll’s House, Part 2”, premiered in 2017- garnering 8 Tony Nominations – is a perfect example of how an iconic classic play coupled with talent, and a sense of curiosity from an original thinking playwright can become a fresh, smart, new work, that’s been dazzling audiences wherever it performs. (Hnath’s 2016 play “The Christians”, received a Tony nomination for his insightful story of a Pastor who questions his belief in God and The Bible). Hnath’s timing in writing Nora’s story sequel, so to speak, is a bit prescient as well. The time has definitely come to address the issue of ‘feminine inequality’ in all its forms. He leavens the dramatic stereotypes of Ibsen’s day by inserting more elements of comedy and sass into Nora’s character. 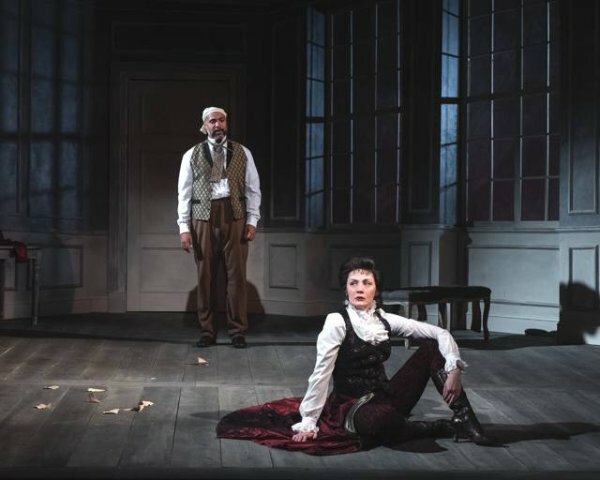 It’s still a four character play, but Mr. Hnath’s whip smart plotline and dialogue makes an 1879 story seem so very modern without sacrificing any of the bittersweet moments and poignancy of Ibsen’s original vision in this riveting entertaining play. Each production no doubt brings its own take to the core story. 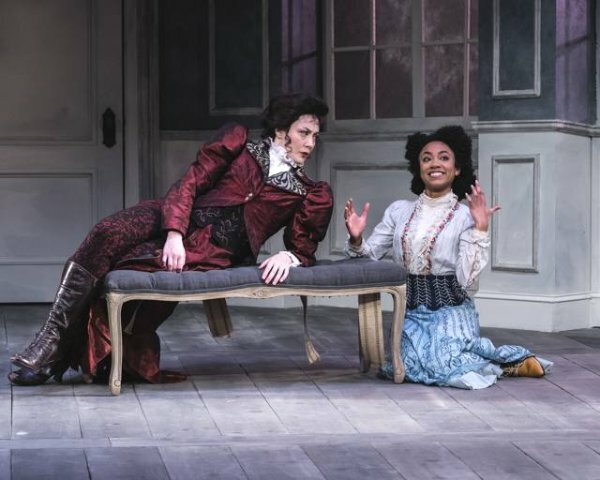 This “Doll’s House” production is in the capable hands of San Diego Repertory Theatre founding artistic Director, Sam Woodhouse. 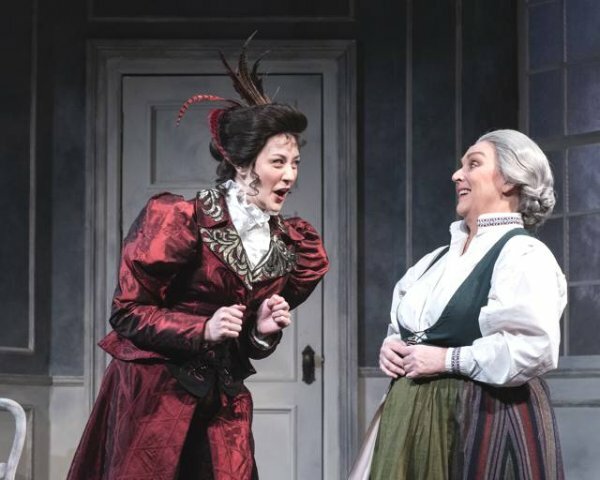 After 43 years in charge of one of San Diego’s acclaimed theatrical performing venues, expectations were high for an exciting and entertaining evening of theatre on the Lyceum Stage. Director Woodhouse didn’t disappoint. His experienced, directorial fingerprints are all over this excellent production. He has an unerring eye for timing and pacing; nurturing the most poignant of performances from an outstanding cast. New York actor Sofia Jean Gomez’s entrance at the beginning as Nora Helmer, draws a gasp and an enthusiastic welcome from Anne Marie, Nora’s loyal family nanny wonderfully played by San Diego favorite Linda Libby. Torvald Helmer, Nora’s husband is volatile but sensitively played by Rene Thornton, Jr. who doesn’t like confrontation with people; especially not with Nora. Their daughter Emmy, is energetically played by Danny Brown, who is fascinated, but wary of a mother she hasn’t seen in 15 years. There are secrets lurking beneath the surface of Nora’s visit, but no spoiler alerts here. There are finely judged performances from everyone. But the evening belongs to Ms. Gomez. Her entrance commands attention right from the get-go. This is a fully in-charge woman at the height of her powers, controlling her own destiny and relishing her return. Gone is the woman who craved her independence but was denied it by the strictures of Victorian society. We now see a beautiful. statuesque, young woman standing in her home 15 years later as a confident, wealthy, successful, independent business woman. It’s been said that revenge is sweet…or is it? Ay, there’s the rub. 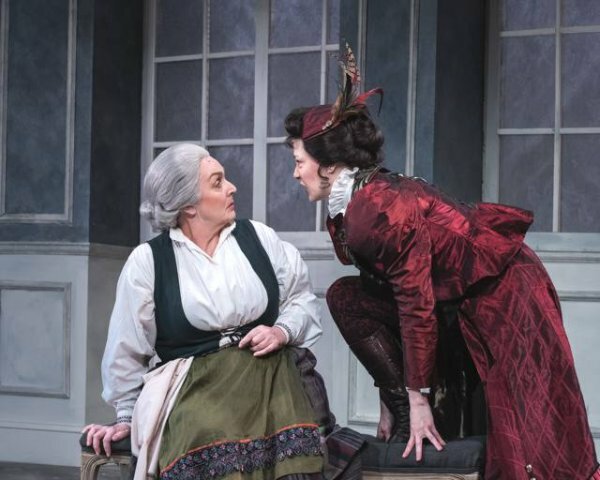 Playwright Hnath’s cleverly crafted play is a delicious, tasty juxtaposition of actors and themes, that I suspect will become a template/formula for creative ‘sequels’ in the future. All it takes is imagination and talent. San Diego Rep Theatre technical credits are always first rate. The creative team led by director Woodhouse includes Scenic Designer Sean Fanning who provides a clean, large performing space for Lighting Designer Alan Burrett, to paint the stage with the proper amount of illumination to appreciate the Victorian era costumes of Designer Jennifer Brawn Gittings. Nora’s costumes are especially fetching on Ms. Gomez. Sound design Matthew Lescault-Wood, and Wig Designer Missy Bradstreet, complete the creative team. The production is stage managed by Laura Zingle. 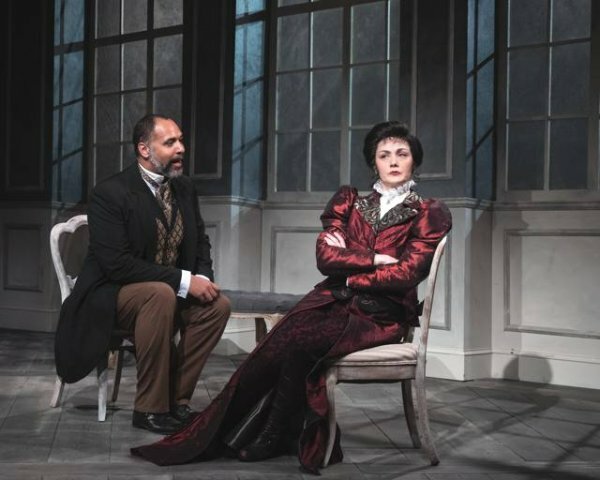 “A Doll’s House, Part 2”, is an impressive production that performs, without an intermission (88 minutes) on SD Rep’s Lyceum Stage at Horton Plaza through December 16, 2018.